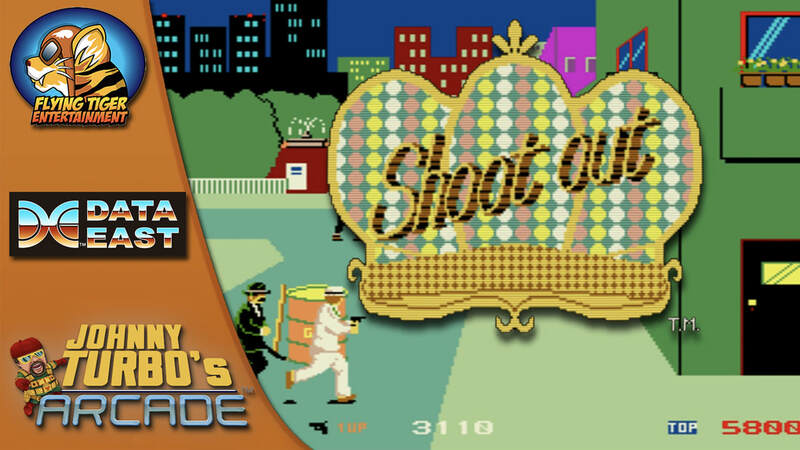 Shoot Out - FLYING TIGER ENTERTAINMENT, INC.
​Take down the criminal underworld with Johnny Turbo’s Arcade: Shoot Out, available on the Nintendo Switch™ eShop! 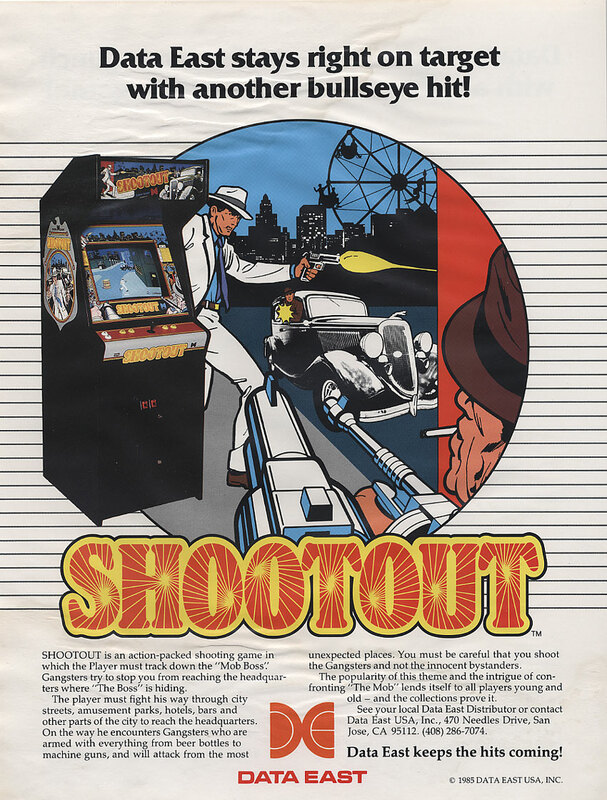 Flying Tiger Entertainment presents Johnny Turbo's Arcade: Shoot Out. Fight the mafia in this classic shooter by Data East™. The city has been corrupted by the mob. Gangsters litter the streets, amusements parks, subways, bars and even hotels. There is no escaping their corruption. No one has been brave enough to take on the Mob Boss... yet. Armed with beer bottles to machine guns, the mafia's attacks are relentless. Shooting down henchmen is only half the battle. Caution must be exercised to ensure no innocent bystanders are hurt. In the end, players must track down the Boss and engage in the ultimate showdown. With the Real Arcade Feel, Shoot Out brings the best of the 80's arcade shooters to Nintendo Switch™.